Elizabeth (“Betsy”) W. Smith, the Central Park Conservancy’s new President and CEO, starts most days with an early-morning run through Central Park. “Spending time in the Park’s marvelous intertwining pathways and green spaces — it’s a critical part of my day,” she says, hinting at the passion that inspired her second career as an advocate for New York City parks. 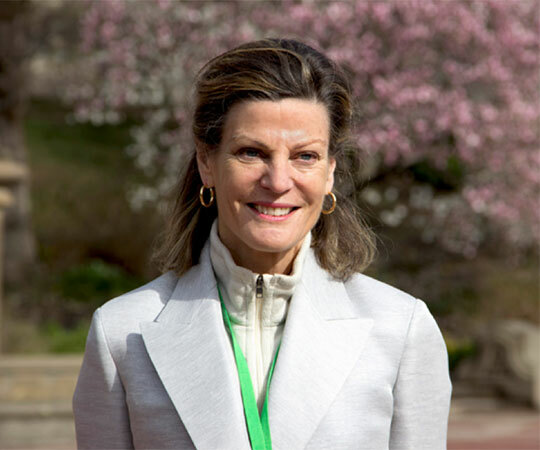 Before starting her role as the Central Park Conservancy’s President and CEO in March, Betsy Smith served as an Assistant Commissioner of NYC Parks for 11 years. After a 25-year career in finance that encompassed commercial banking, venture capital, and private equity, Betsy chose to dedicate her energies to supporting the City’s green spaces. She became an Assistant Commissioner of the New York City Department of Parks and Recreation during the Bloomberg Administration, where her responsibilities included managing relationships with local conservancies and other public-private partnerships. She also served as vice chair of New Yorkers for Parks and as a board member of Friends of the High Line, the Open Space Institute, and the Central Park Conservancy. Here, she reflects on her new role and the Conservancy’s future as it evolves from its founding era. You’ve served as an advocate for New York City’s urban green spaces for many years. What inspires you to help protect and enhance these spaces? The longer I live in New York, the more I value open space and parks. To me, they are what make the City livable. Period. And as urban density increases, so does their value. I think of them as “decompression zones” where you can wander either on your own or with friends, spend no money, and just feel the break from the density a few blocks away. Everyone is busy, everyone is involved. Stepping into a park is the best way to breathe and calm down. Without them the City would be less beautiful, less varied, and less healthy. Betsy often runs around the Reservoir running track, which offers some of the best skyline views in the City. How has New York City’s approach to its public parks evolved? The Central Park Conservancy really led the way in announcing to the public that it was not enough to let our beautiful parks be a municipal responsibility; concerned citizens must play a role in taking care of them. It is inspiring to look back at the Conservancy’s founding in 1980 when such pioneers as Betsy Barlow Rogers, William Beinecke, Richard Gilder, and Gordon J. Davis [then New York City’s Commissioner of Parks and Recreation] recognized this magnificent asset and understood that the City did not have the resources to bring it back to its glory. They built an organization and the momentum to do it, and became a model for conservancies across the City. I think it’s brought tremendous joy to people to feel that they can make a difference not only in their own lives but in the lives of millions of other people. I think people will continue to be inspired to step up to their civic responsibility to care for the beautiful spaces around them. 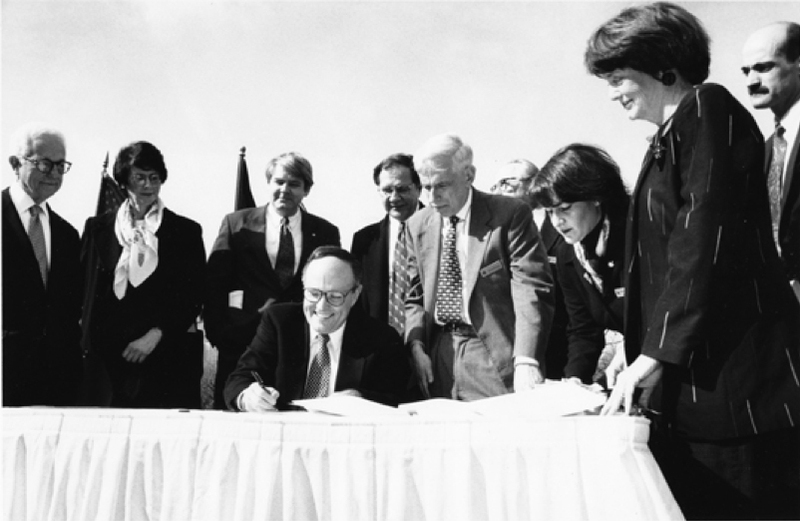 In February 1998, the Central Park Conservancy signed its first contract with NYC Parks — taking on the responsibility to restore, manage, and enhance Central Park. What’s next for the Central Park Conservancy? Now that the Park is largely restored — although its extraordinarily heavy use will always demand significant investment year after year — our challenge is: How do we create a model of sustainability to ensure that Central Park always stays beautiful, and that we continue to innovate and develop best practices in park management? And how do we send this message with a sense of urgency? The concept of sustainability applies not only to our finances but also to our operations, our volunteers, our communications — there are many elements that go into caring for and sustaining this historic park. Our Institute for Urban Parks, the Conservancy’s educational arm devoted to spreading professional knowledge about urban parks, will play an important role as a thought leader. It will also be a great source for practical, hands-on training for generations of urban park professionals here in Central Park and in other parks. Speaking of the Conservancy’s Institute for Urban Parks, you recently welcomed park professionals from across the country to the Institute’s inaugural Urban Parks Executive Leadership Development Program, a week-long seminar run in partnership with the City University of New York’s School of Professional Studies. What do you think were some of the most valuable takeaways for participants? I think the most important insight participants took away is that caring for urban parks is now a profession — that this is an international movement, and there are resources available to them, and people to share problems with, no matter where they are. There are sophisticated protocols for managing heavily used urban green spaces, and the Institute is the first real hub where urban park professionals can learn from each other and exchange ideas. We all see that we have common ground. 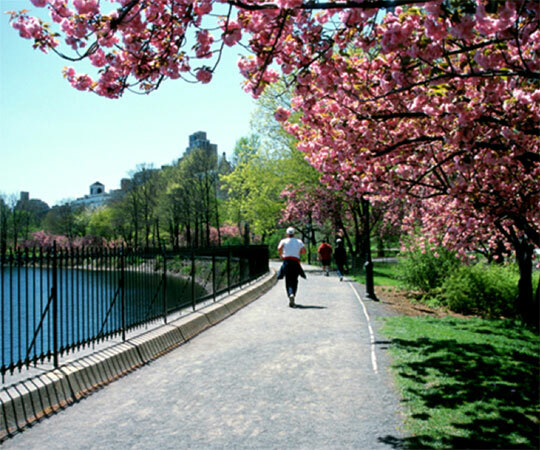 What do you love most about Central Park? I often think about how Central Park was such a prescient concept and movement in the middle of the 19th century. It was this experiment of social democracy which was new — to have a large open space available for every class of people, for every New Yorker. To this day, Central Park remains one of the most democratic of spaces. It’s available to everyone who glimpses its majesty from a cityscape. That’s part of its magic. And of course, it is just so beautiful. Walking down the Mall on a spring day, glancing left and right, you just feel blessed that this is the heart of New York.